The statistics presented here were collected and processed by EPC for the ‘European Wood Pellet Market Overview’ of Bioenergy Euopre’s Statistical Report 2017. For an in-depth analysis, do not hesitate to download the Key Findings (free of charge) or to order your copy of the full report. 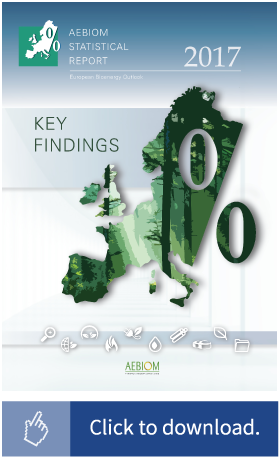 Every year since its debut release in 2007, Bioenergy Europe’s Statistical Report has provided an in-depth overview of the bioenergy sector in all EU28 Member States. Updated and enriched every year with new figures and information, it gathers unique data on the developments of the European bioenergy market from a growing number of international contributors, helping the industry, decision makers, investors and all bioenergy professionals to better assess the situation of bioenergy in Europe. For more information, visit the Bioenergy Europe website.